In this weekend’s set of fixtures it looks like the top three teams in the league are heavy favorites to win. What this means in fantasy Premier League terms is that managers should look to pick up players from Chelsea, Manchester City, and Arsenal. Of these three teams Chelsea could have the more difficult match, but this is also a Chelsea team looking for a comeback following their disappointing draw leading to their exit from the Champions League. Arsenal could also have it somewhat difficult against West Ham, however, the Gunners are in a good run of form and the Hammers have looked woeful. Manchester City are traveling to Burnley and hoping to return to something at least resembling form after a string of subpar performances in recent weeks. For this weekend I’d recommend picking from any of Sergio Aguero, Diego Costa, Eden Hazard, David Silva, Cesc Fabragas, Olivier Giroud, Alexis Sanchez, Pablo Zabaleta, Kieran Gibbs, Hector Bellerin, Gael Clichy, Oscar, Mesut Ozil, and Santi Cazorla. Obviously you will need to make some choices in there, but the top players from these three teams should be able to put in good performances. If you are looking for something more in the range of a bargain there are a few out there to pad your team with. Stoke’s Marc Wilson and Phil Bardsley have been in good form recently. They would be a risk since they are on the road against West Brom, however, the Baggies have been struggling recently and their main goal scoring threats are both carrying injuries. Leicester City, Hull City, and Aston Villa have all been rather toothless in front of goal this season meaning picking up defenders from any of Leicester, Hull, or Sunderland could pay off. Leicester City’s Esteban Cambiasso is one gamble you might want to take. He is often in the middle of any Leicester attack including scoring goals for them. Just remember he is a risk that could end up being a complete bust, but his 4.7M price tag can free up a lot of room for some big name players. Victor Moses has been in good form recently and at just 5.2 he’s a real bargain to be had. In the last three weeks he has scored 10, 2, and 8 points. A last bargain midfielder to look at is Jason Puncheon. He’s something of a hit or miss player this season, but facing off against Queens Park Rangers at home means that Crystal Palace has a good chance to come through as winners. Four bargain forwards to look at include Charlie Austin, Mame Biram Diouf, Dame N’Doye, and Jaime Vardy. All four strikers have matchups in gameweek 29 that certainly favor them and their ability to score goals. Keep in mind that Brown Ideye and Saido Berahino would make this list normally, but both have knocks that have them as game time decisions, so keep an eye on that. 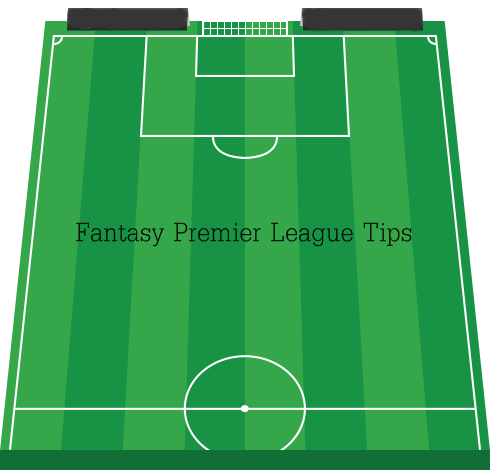 Once again this weekend carries with it some great matches and excellent chances for fantasy Premier League football managers to pick up points. Also, make sure you check out the new Togga Perfect XI game and sign up to participate in the Premier Soccer Chat group.